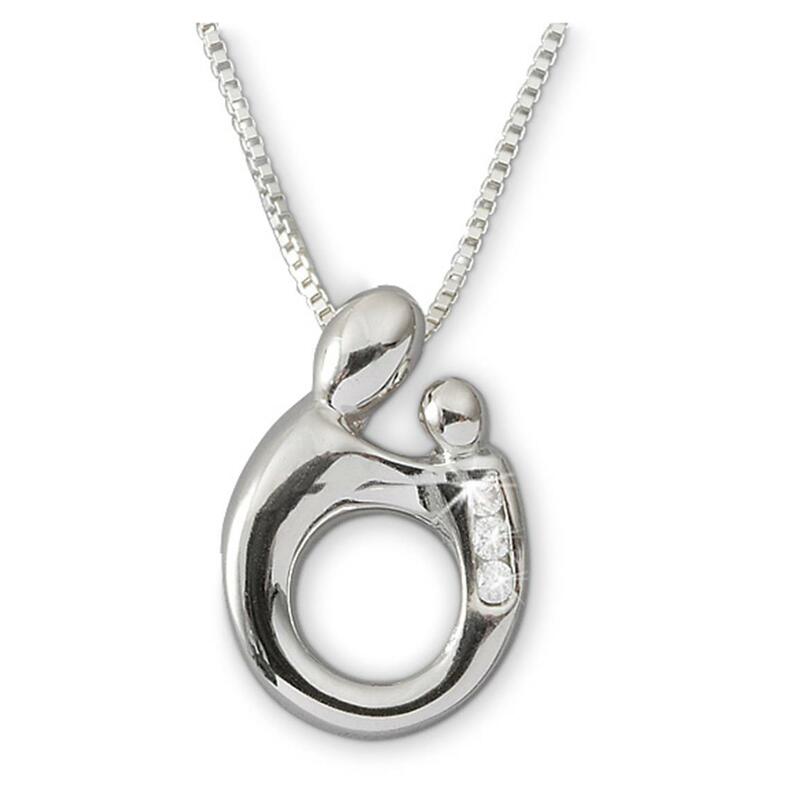 A perfect symbol for a loving bond. 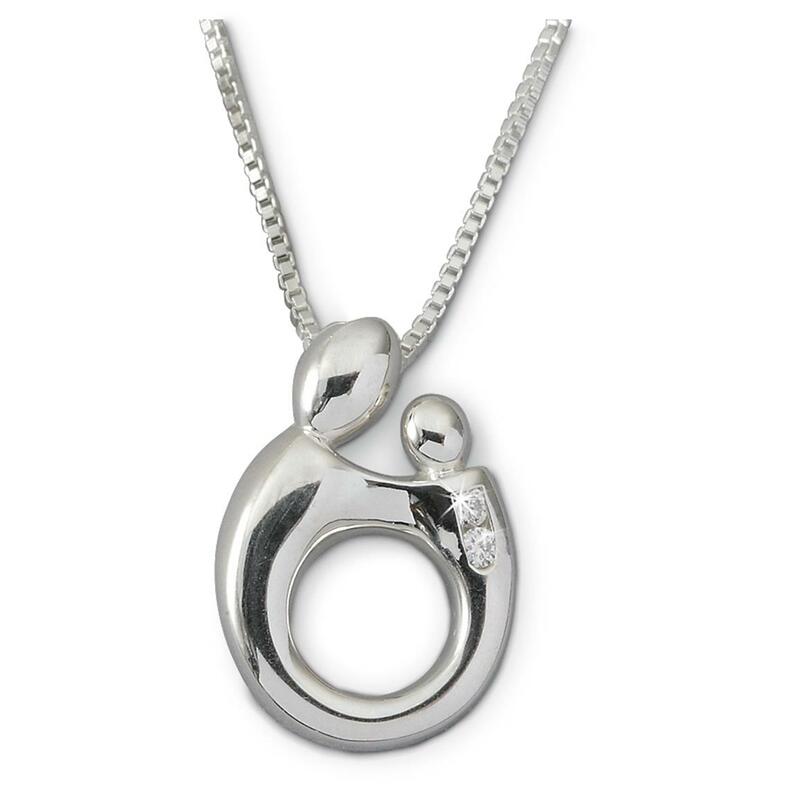 Beautiful and eternal, this Necklace represents the connection every mother carries deep in her heart. 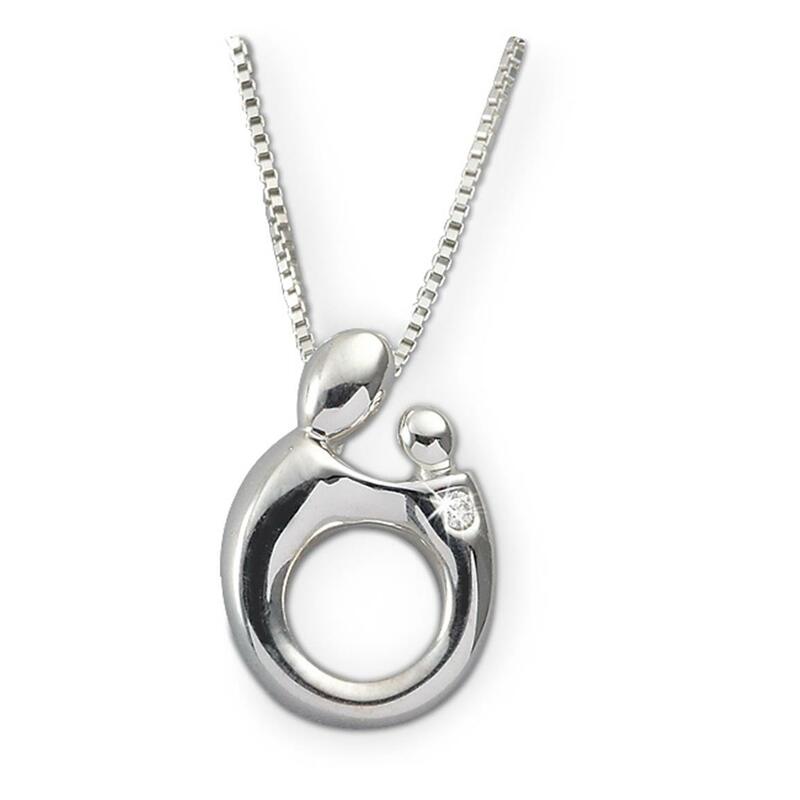 Designed by famous jewelry designer (and mother) Janel Russell, this Necklace was inspired by the love she felt for her own son. 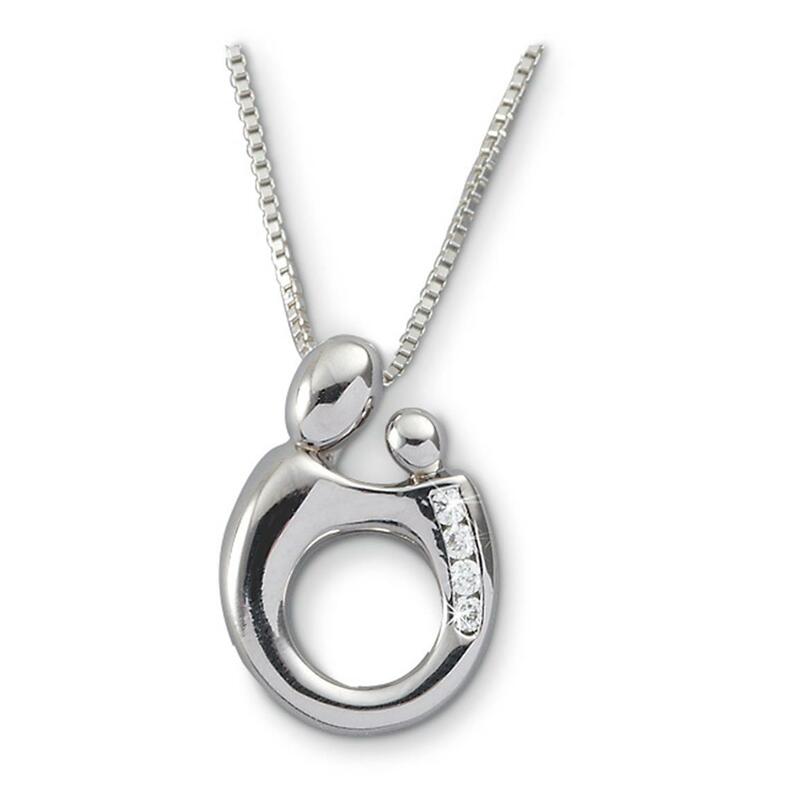 Pendant, 18" box chain, and spring-ring clasp are all highest-quality .925 sterling silver for enduring durability. Within each Pendant sparkles a diamond accent, .02 carats each. Pendant is 3/4" x 1/2"w. USA made. 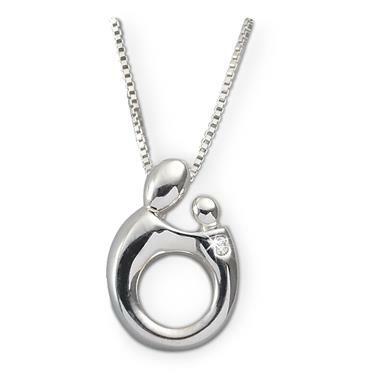 Pendant is 3/4" x 1/2"w.
Give her something she'll always treasure.